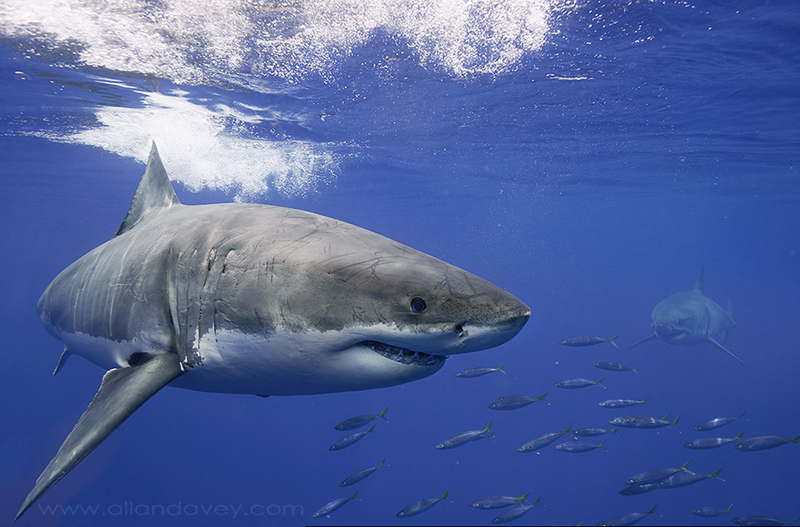 Allan Davey and his son were part of our first Great White Shark expedition to Guadalupe Island this season. 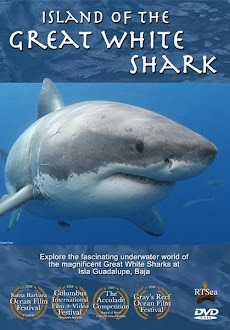 He has documented his experience in his blog, A Truly Great White Shark Adventure. "Gunther" nibbling on cage. Photo Allan Davey. 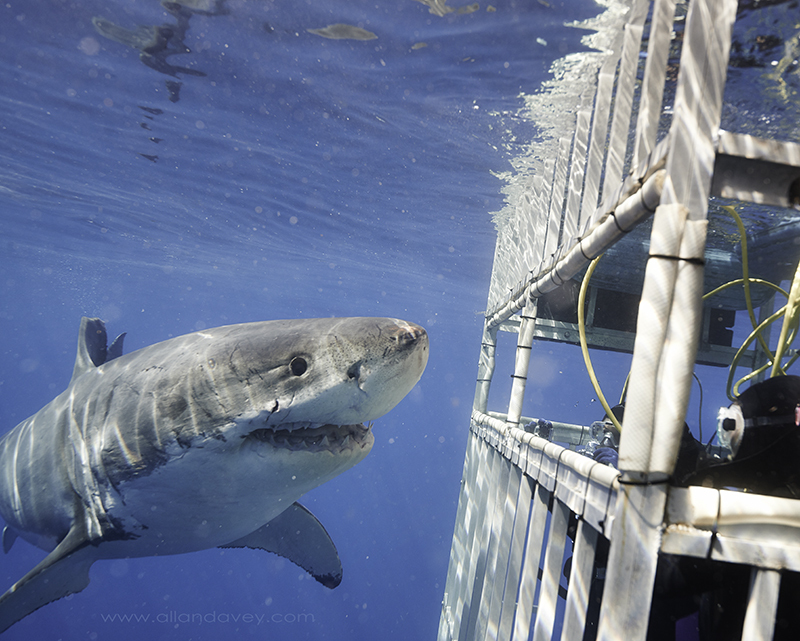 We had sharks visit on every session in the cage which apparently isn’t always the case. There was a lot more action on our trip then on previous trips. ( This has continued on trips after ours ). 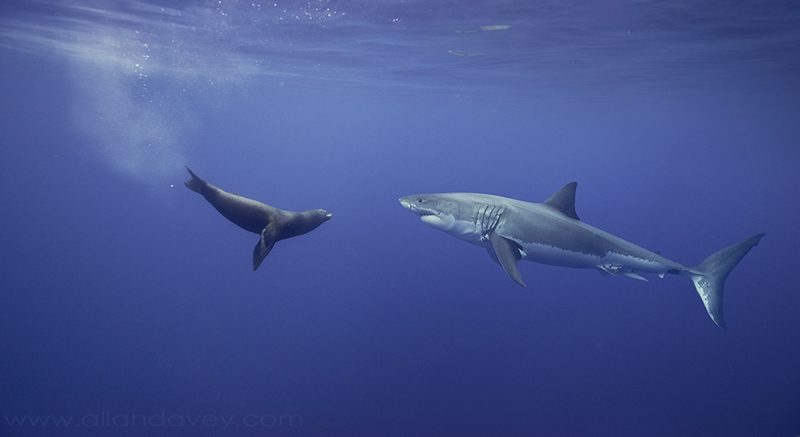 Two of the larger sharks exhibited unusual behaviour which prompted discussions amongst the crew. They were repeatedly gnawing on the cage and one would get under it and knock it from below. They weren’t trying to attack but they were being aggressive. At one point while one of the sharks was biting the cage, a tooth dislodged and started to flutter down. My cage mate went to grab it then realized what he was doing as he started to reach towards the gaping jaws and quickly and fortunately realized that would be unwise. Made for some great personal experiences but made me ponder what is happening to these sharks and their environment that might explain this behaviour. Then again our Dive Master Martin Graf said that as soon as you think you know something about white sharks they do something unexpected and everything goes out the window. 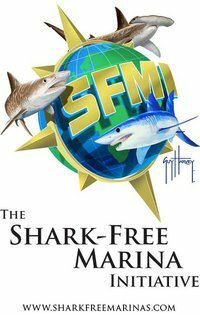 It was very unusual that during our first 2 trips, some sharks that have been around our cages for years, "Gunther" and "Drogin" were repeatedly nibbling on our cages. There was no food by the cages and they did it in slow motion, with their eyes open and not rolled back. I have never observed that kind of behavior before. 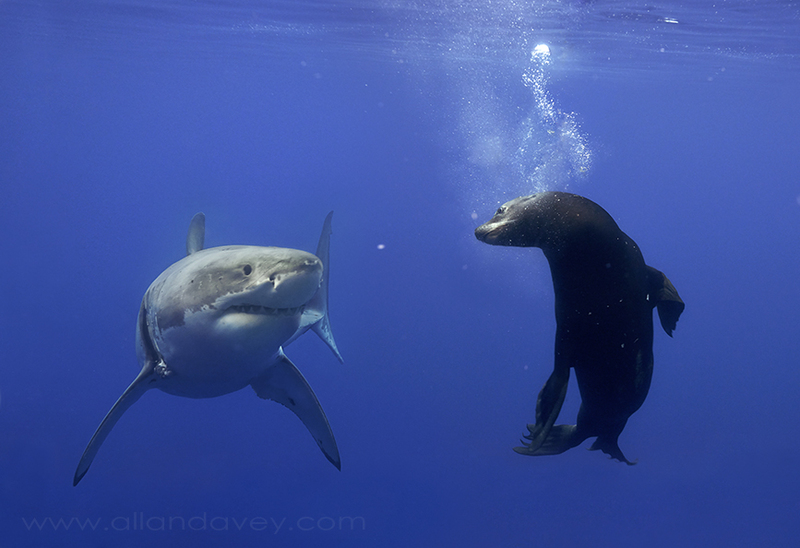 We also saw some great interaction between sea lions and sharks that Allan has documented with these awesome pictures. Well, hello there! How are you today? You can read Allan's blog here. Along with a lot of awesome pictures, he also has some great info and tips for photographers. Thanks Allen! Here are some more samples of his pictures! Check out the blue eyes!